episode 163 – state tax concerns keeping you up at night? Luke Lucas, one of Rea’s premier state and local tax experts, joins unsuitable on Rea Radio to talk about the effect of the tax reform and what businesses can expect in the future. We’re enjoying the calm before the storm here at Rea. In just about a month it will be “all hands on deck” for accountants everywhere. While most of us are still buzzing about federal tax bills and future tax planning strategies under the Tax Cuts and Jobs Act, our state and local tax team is looking at this upcoming tax season from another angle. Joining us on today’s episode of unsuitable is Luke Lucas, CPA, income and franchise manager on Rea’s state and local tax team. Luke is here to help us understand how our state taxes could be impacted this year by federal tax reform, the Wayfair v. South Dakota decision, and the recent CAT sales sourcing rulings. There is no statute of limitations for failing to file a tax return that you should have filed, and we’ve seen this hit businesses in a big way because they just weren’t adequately prepared to track sales out of state. With new economic nexus regulations as a result of Wayfair, this is the best time to make sure you have the technology necessary to track out-of-state sales and a trusted advisor that can help you navigate the complexities of state tax laws. Webinar | Your State And Local Tax Questions Answered – Do you have any fears about expanding into other state taxing jurisdictions? If so, don’t be alarmed! There are a lot of complicated rules and regulations that business owners may not know about but should. Check this webinar out to learn more! Podcast | what the wayfair?! 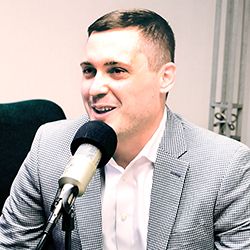 – Joe Popp and Scott Zielaskiewicz, Rea’s state and local tax experts, join unsuitable to talk about the Wayfair case and how state and local taxes will affect all businesses in the United States. Supreme Court Issues South Dakota vs. Wayfair Decision – In the most important ruling in more than 20 years with regard to tax nexus. the U.S. Supreme Court has sided with South Dakota, ruling that physical presence, of any sort, is no longer required to register with a state tax department or collect their sales tax. How To Prepare For Tax Season Before Dec. 31 – Due to Tax Reform changes, your refund could differ from prior year’s refunds ̶ if you even get one. In fact, some taxpayers might learn that they actually owe money to the government when they file their 2018 tax return. Continue reading to learn more! Online Sales Get Complicated – In the United States, sales taxes are governed on a state-by-state basis, which means that each state plays by its own rules when it comes to tax rates, how sales are sourced, and even the definitions. Read on to learn more!